Here are important formulas and shortcuts to solve problems related to Number Series. Basic knowledge regarding solving number series questions is important for various competitive exams like IBPS, SBI Bank PO, assistant, SSC exams, Railway exam, UPSC exams. In this type of series a number is incremented/ decremented by a fixed value. In this type of series next number is incremented or decremented by an other series. Case 1: Simple Multiplication or Division (*N/ ÷N) or Geometrical Progression. 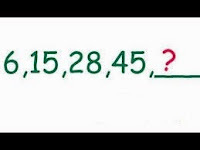 In this type of number series a number is either multiplied by a fixed number or divided by a fixed number. Eg 3: 4096, 1024, 256, 64, 16, 4...... ( A number is divided by 4). In this type of series a number is multiplied or divided by an arithmetic series. In this type of series a number is multiplied/ divided by a fixed number and other number is added/ subtracted to get next number of the series. This type of series is consecutive prime number series. In this type of series next number is addition or subtraction of prime number series. In this type of series next number is multiplication or division of prime number series. This type of series includes square of numbers. This type of series include N2 series with addition or subtraction with fixed number or number series. This type of series includes cubes of numbers. When a series is combination of two series. Number Series Practice Model Test Paper - 1 with Answer key and Detailed Solution. Number Series Practice Model Test Paper - 2 with Answer key and Detailed Solution. Number Series Practice Model Test Paper - 3 with Answer key and Detailed Solution. Number Series Practice Model Test Paper - 4 with Answer key and Detailed Solution. Number Series Practice Model Test Paper - 5 with Answer key and Detailed Solution. List of Best and Recommended Books for Quantitative Aptitude and Numerical Ability.